It had eventually to come to this post; the one on Buck Weaver. Of all the Black Sox he is the hardest to get a handle on when it comes to the scandal. His guilt is as certain as his innocence. And I know that sentence sounds silly, but if you look at the Black Sox issue, he can come across as either guilty or innocent depending on where you place your emphasis. As a rule, that’s not true of the others. Born in 1890 in Pottstown, Pennsylvania, Weaver came from a steel town. He was neither a particularly good nor bad student, but he was a good ballplayer. By 1910, after stints in semipro and outlaw ball, he was in the Minor Leagues in Northampton, Massachusetts. He moved between Northampton; York, Pennsylvania; and San Francisco in a Minor League career that lasted two years. He was considered a good hitter and an excellent fielder. In 1912 he made the Chicago White Sox as the starting shortstop. He hit all of .224 and led the American League in both outs and errors made, but was considered a work in progress. And he did progress. Between 1913 and 1916 his average slid up and down, peaking at .272 in 1913. His OPS peaked in 1915 at .671. He was, however, becoming a good shortstop. He led the AL in putouts and assists in 1913 (and in errors). With the arrival of Swede Risberg in Weaver began a shift to third base, playing 66 games at short and 85 at third in 1916. By 1917 he was the team’s regular third baseman, a position he would hold for the rest of his career (although he still spent a lot of time at short). In 1917, the White Sox won the AL pennant. Weaver hit .284, saw his OPS at .694, and had his OPS+ finally go over 100 (110). He also led all AL third basemen in field percentage. In the World Series he hit .333, and an OBP of .333 (obviously no walks), slugged .381, had an OPS of .714, scored three runs and drove in one. The Sox won in six games. Weaver was one of a group of White Sox who played the entire 1918 season with the team. Despite World War I, he was neither drafted nor went off to do war work. He hit .300 for the first time, but OPS dropped. In 1919, he dropped back under .300 but established career highs in slugging percentage and OPS (although his OPS+ dropped to 99). He ChiSox won the pennant and lost the World Series in eight games. Weaver hit .324, had an OBP of .324 (again, the man simply refused to walk), slugged .500 and had an .824 OPS. He scored four runs, had four doubles, a triple, and no RBIs. And it’s here we need to step away from the playing field and into a “conference with a bunch of crooked players” (Judge Landis’ phrase). A group of White Sox decided to throw the World Series to Cincinnati and make a ton of money (by era standards). There were a number of meetings between the eight players (seldom with all eight present). Weaver was asked to join and did so. He seems to have immediately rejected the idea and had no part in the fix. He failed, however, to inform anyone else about what was going on. That would cost him dearly. The 1920 season was a career year for Weaver. With the new “lively ball” he posted career highs in most categories. He hit .331, had an OPS+ of 107, and for the first time racked up 200 hits. He also continued to play well in the field. With only a few days left in the season, the Black Sox scandal broke. Weaver was implicated and thrown off the team. Tried with the other Black Sox, despite requesting a separate trial, he was acquitted. Then Landis brought down the hammer banning all players who participated in the fix. Then the last sentence included the following, “no player who sits in conference with a bunch of crooked players and gamblers where the ways and means of throwing games are discussed and does not promptly tell his club about it will ever play professional ball.” It was aimed directly at Weaver. Out of the Majors, Weaver played semipro ball, worked for the city of Chicago as a painter, ran a drug store (he was not the pharmacist), and dropped dead of a heart attack on the streets of Chicago 31 January 1956, exactly 56 years ago. He was, despite repeated attempts, never reinstated to the Major Leagues. Before making some general comments about Weaver, this is a good place to note how good the White Sox defense was rated. In contemporary account after contemporary account there is general agreement that the Sox were a superb defensive team. Gandil, Weaver, Jackson, and Felsch were considered in the top-tier of defense players in the American League, as were Clean Sox Eddie Collins and Ray Schalk. A quick look at team stats bears out that the ChiSox were among the elite fielding teams of the era and if you take the individual players and line them up against their opposite numbers, it’s generally true that the Chicago players are well into the upper echelon on defense. Accounts of the Black Sox scandal tend to generally focus on the hitting and pitching but as a team, the White Sox were pretty good defensively too. My grandparents refered to knowing what to do and not doing it as a “sin of omission.” Weaver got caught up in something like that in 1919. In some ways we’re dealing with that right now in American sport. As I understand it, Joe Paterno was essentially accused of not doing enough in the Penn State scandal and that (not doing enough) is what got Weaver into trouble. Now I don’t want to compare the two incidents too closely, the specifics have almost nothing in common and the difference between the victims, a 10-year old in 2002 and a group of loud and sometimes obnoxious fans in 1919, makes the particulars totally unlike. And that leads to the question of how much sympathy to show towards Weaver. On the one hand, you’re taught to be loyal to your friends, but on the other hand there’s the question of knowing something is wrong and simply letting it slide. Ultimately I come down on the anti-Weaver side, but I certainly understand those who do not. Having said all that, I agree with Judge Landis on banning those who are “in conference with a bunch of crooked players.” Making it a cause for banning was a shot across the bow of the players. Now even knowledge of a fix, not just the fix itself, was a banning offense. I’m not a big fan of Landis, but he got this one right. 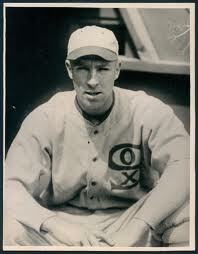 Without question the most obscure member of the Black Sox was Fred McMullin. I’ve always kind of wondered why he was involved at all. He was a sub and one not likely to play much in the World Series. The movie version of “Eight Men Out” has him overhearing the plot while in a bathroom and getting in at that point. Others say it was the locker room. Why not. In the movie, when McMullen (Perry Lang) tells Chick Gandil (Michael Rooker) and Swede Risberg (Don Harvey) he wants a cut, the response from Risberg is a simple “You’re in, Fred.” If Hollywood is right (and it usually isn’t),with that matter-of-fact line Fred McMullin slipped into infamy. McMullin was born in 1891 in Kansas and moved to California at age 14. He graduated from High School, unlike most of his colleagues, played a little sandlot and semipro ball, and apprenticed as a blacksmith (the only one of those I found). He spent the early teens roaming from team to team in the Northwest League, a West Coast minor league that was a rung lower than the Pacific Coast League. It had a lot of ex-Major Leaguers in it so he picked up a lot of inside training from them. It earned him a one game tryout with the Detroit Tigers (he struck out in his only at bat and made an error in the field). That sent him back to the minors for 1915. Chicago came calling for the 1916 season. McMullin got into 63 games at third base (and a handful elsewhere), hit .257 with three doubles, nine stolen bases, and 10 RBIs. He got into another 52 games as the backup third baseman in 1917. With the Sox in the World Series, he played all six games at third (Buck Weaver went back to shortstop because Swede Risberg, the regular shortstop, was in a terrible slump.). He hit a buck 25 with a double, two RBIs, a walk, and six strikeouts (and led the team in at bats with 24). Chicago won the Series and McMullin pocketed a nice piece of change. With war raging in 1918, McMullin went back to being the regular ChiSox third baseman (Weaver went to short and Risberg to the Naval Shipyards), hit .277 with no power and few RBIs. By 1919 he was back on the bench spelling Weaver at third in 46 games. He got into two games in the World Series managing a single in two plate appearances. The hit was in game one, a game the Sox lost. The out occurred in the next game, another Chicago loss. McMullin was back riding the pine in 1920 when the scandal broke. Interestingly enough, he was not placed on trial with the other seven Black Sox. I’ve been unable to find out exactly why. So he was neither charged nor acquitted in the scandal, but was banned by Judge Landis. Out of baseball he worked as a carpenter and eventually settled in as a deputy marshal in Los Angeles (I have to admit the irony here is stunning). He died of a stroke in 1952. In many ways McMullin is the hardest of the Black Sox to figure out. He’s a substitute, a bench player, someone not likely to have much of an effect on the World Series, but he’s a major player in the plot to fix the Series. Some sources claim that once he was in, he became one of the ringleaders. I guess that makes his accidental entry into the plot sound more likely. But it also makes him seem more than just an innocent fluke. He comes off as an opportunist who had no problem with throwing a game. In the movie “Eight Men Out” there is a wonderfully subtle scene between Swede Risberg (Don Harvey) and Lefty Williams (James Read). Risberg is pitching the fix to Williams when we hear the voice of Williams’ wife (Nancy Travis) ask who’s at the door. Williams responds it’s a salesman and the wife replies that Williams should tell him “we don’t want any.” It’s subtle because Risberg is actually selling something: the fix. Mrs. Williams is, in a throw off manner, offering excellent advice. Every time I see the movie I mutter to myself, “Listen to your wife, Lefty.” He never does. Claude Williams was born in Southwest Missouri in 1893. There seems to be a general belief that the 1919 White Sox were split along geographical lines with the Southerners and the Northerners squaring off in some replay of the Civil War. Ain’t so. Only Joe Jackson was from the South. None of the others were from anywhere near the South except for Williams. He was from one of those border states that tore itself apart during the 1860s. Four of the counties in deep southwest Missouri were evacuated and turned into something like a free fire zone by the Federal Government during the Civil War. The idea was that anyone found in those counties was a bushwhacker and subject to immediate arrest and/or execution. After the war the returned citizens in those counties became some of the biggest supporters of anti-government rebels (and general thugs) like Cole Younger and Jesse James. Williams’ family, from Aurora, came from one of those counties. I don’t know how seriously they identified with the South, but I suspect it had an impact on their son. Williams became one of the rarest of baseball commodities, a good left-handed pitcher. He played semipro ball in Springfield, Missouri, starred in the Appalachian League, and was picked up by Detroit in 1913. He wasn’t an instant success going 1-4 over two years and picking up a save. He had a good curve, but neither his control nor the curve were what the Tigers wanted. They sent him to Sacramento after one game in 1914. He spent the rest of the season there, then slid over to Salt Lake City for 1915. He pitched well enough in Salt Lake (33 wins and 294 strikeouts) to get the attention of the White Sox. He debuted in Chicago in 1916 and was a lot better than he’d been at Detroit. With better control and a wicked curve he became a staple of the ChiSox staff. He was 30-15 over two seasons, pitched a lot of innings, but didn’t finish many games. In the 1917 World Series he pitched in one game (one inning). He gave up a run on two hits and struck out three. In 1918, he joined Jackson, his roommate, and others doing Naval shipyard work in lieu of joining the military. I’ve hit this before in other posts, so I’m not going into detail about it here. He was back for 1919 and won 20 games for the first time (23). He was third in innings pitched, first in games pitched, and for the only time in a full season had an ERA+ over 100 (121). The Sox went to the World Series for the second time in three seasons. Williams started and lost three games. In 1920 he was off to a 22-14 start with a huge ERA and led the American League in home runs allowed when the Black Sox scandal broke. Along with the other players he was acquitted by a jury but banned by baseball. 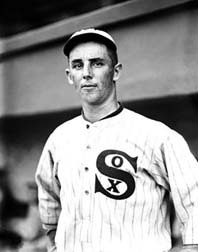 Williams, as with the rest of the Black Sox, played outlaw ball. He continued playing through 1927. He moved to California and opened a landscaping business and nursery. It was reasonably successful and provided both financial stability and a life away from the harsh glare of the scandal. He died in 1959. There is a story in Asinof’s “Eight Men Out” that a gambler threatened Williams the night before game eight that the gambler would shoot Williams’ wife if Williams survived the first inning (it’s also in the movie). Asinof, years later, admitted he made up the story to catch plagiarism. I guess that’s so. The story always worried me, but you never know. In my book, Williams has been one of the more sympathetic figures in the Black Sox Scandal (at least as far as any of these jerks can be sympathetic). He seems to have agreed to throw the World Series, gotten a little cold feet, overrode them and decided that the money was good, eventually overriding his conscience. I have to admit that I’ve done that too (overrode my conscience, not thrown the Series). Still, Lefty, you shoulda listened to your wife. Born in 1894 San Francisco, Charles Risberg was a third grade drop out (do you notice an educational pattern with a lot of these guys?). He excelled as a pitcher in semipro ball in the Frisco area. Between 1912 and 1916, he played for a series of Minor League teams in the West, doing well and eventually settling in as a shortstop. His last posting was with Vernon of the Pacific Coast League. His manager was 1906 World Series hero Doc White who recommended Risberg to his former boss Charles Comiskey. Risberg made the big leagues in 1917 as a utility infielder but almost immediately became the every day shortstop. He hit .203 with no power and struck out more than he walked. As a shortstop he was nothing special. He led the American League in errors and finished fourth (of eight regulars) in putouts. Chicago made the World Series. Risberg batted twice, picked up a single and an RBI and helped the White Sox win. 1918 saw World War I intrude into baseball in a major way. Under a “work of fight” order a number of players like Risberg left the team during the season (he played 82 games) to work in Naval shipyards. Risberg went back to the West Coast to work in the Alameda Shipyard. Much of his job was to play ball and the whole idea bothered owner Comiskey. As with Happy Felsch (see earlier post) Comiskey felt Risberg was shirking his duty and held it against him for the rest of his career. Again, it’s difficult to determine how much this contributed to the crisis of 1919. One thing is certain, Risberg hated Chicago and the Midwest. He apparently was desperately homesick and spent as much time as he could back in California. This may also have contributed to what happened in 1919. Not liking the town, the owner, and a significant number of his teammates, Risberg was ripe for recruitment in the Black Sox Scandal. He had a decent year in 1919, finally having 100 hits, hitting .256, and seeing his OPS rise to .662. I always hate writing something like that, because OPS was unheard of in Risberg’s day, but is so well-known today it needs to be quoted. During the World Series he hit a miserable .083 with one extra base hit (a triple), no RBIs, five strikeouts, and a World Series record eight errors at short. He blamed it on a cold. Of course we know it was more than a cold. 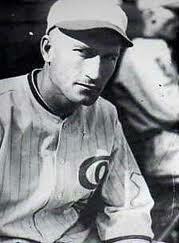 Risberg was one of Chick Gandil’s earliest recruits. A willing participant, he seems to have been the man who recruited both Lefty Williams and Jackson to the cause. He was responsible for getting Jackson’s money to him (via Williams) and is supposed to have threatened Jackson with physical violence when Jackson complained about the amount of money. That was Jackson’s story and Risberg never denied it (at least that I can find). Risberg was having his best year in 1920 when the scandal broke. Acquitted by a jury, but banned by the Major Leagues, he played outlaw baseball and worked some in the minors, playing as late as the early 1930s. He told others he was making more money in the outlaw and minor leagues than he ever made in the Major Leagues. He ran a dairy farm, was involved in the Ty Cob/Tris Speaker gambling controversy (which came to nothing), lost a leg to osteomyelitis, moved back to California and ran a bar (another common thread among some of the Black Sox). He died in California in 1975, the last of the Black Sox. I find it very difficult to like Risberg. I think that as a person he’s the one I’d least like to have known (which is different from saying which is most responsible for the fix). But he is intriguing because his career is the shortest. He seems to have been getting better when he was banned (as was Felsch) and I’d like to know how the “lively ball” era might have changed his stats. He was never going to be a big star, but he might have become a quality shortstop given time. That he didn’t give himself enough time lies with him. In doing research for this post about Happy Felsch, I ran across an interview with him done back in the 1950s. In it he says he wanted to get some help from his friends in deciding what to do about fixing the 1919 World Series. I was immediately reminded of an old 1960s (I think) country song that contained the following lines: “Please help me, I’m falling. And that would be sin. Close the door to temptation. Don’t let me walk in.” The ethical blindness in both comment and song are much alike. Oscar Felsch was born in Milwaukee in 1891, the son of immigrants from Germany. As with a number of the Black Sox, he was a drop out, not advancing beyond the sixth grade. He played sandlot ball, went into semipro ball, and finally made a local minor league team in 1913. He wasn’t very good in 1913, but improved. By 1915 he had been spotted and signed by Chicago. He was one of three Black Sox who spent his entire career with the White Sox (Weaver and Risberg were the others). His first season wasn’t much, but he improved in 1916 and 1917. He hit .300 both years, had 100 RBIs in 1917, scored 70 runs both years, and had decent power for the era (13 total home runs). His OPS+ was 130 in ’16 and 128 in ’17. He was also an exception center fielder for the era. He led the American League in both putouts and range factor in 1917 and was second in range factor in 1916. In the 1917 World Series he hit .273 with a home run and an OPS of .759. 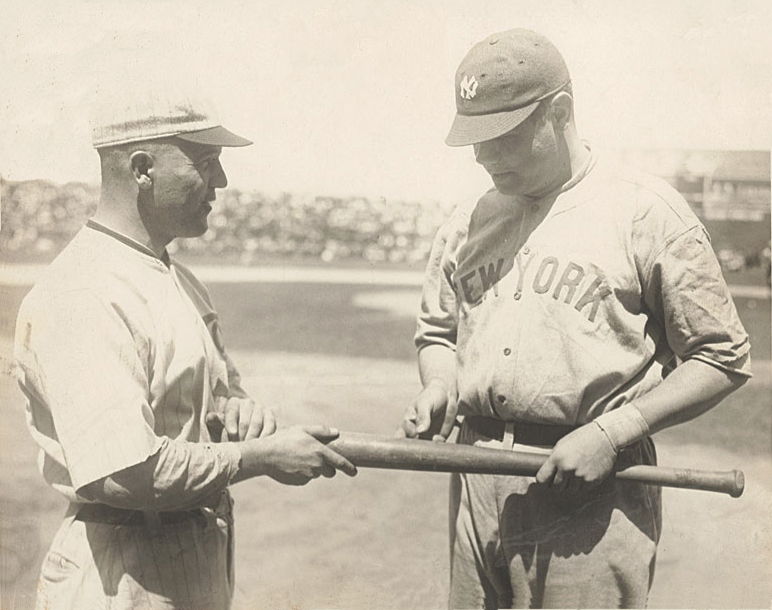 After 53 games in 1918, Felsch left Chicago to perform war work at a naval shipyard. World War I was raging and he, along with other Major Leaguers, was faced with either joining the military or performing war-related service. Owner Charles Comiskey was upset at Felsch (and Lefty Williams and Joe Jackson who did the same as Felsch) for “shirking” the military in time of crisis. The War Department was quite happy to get them, the ships needed to be built and the dockyard workers need entertainment (All three played a lot of ball for the shipyard team.). I’m not sure how much this incident added to the atmosphere that led to the 1919 fix, but it surely didn’t help. Back fulltime in 1919, Felsch had another good year, hitting .275 with an OPS of .764 and an OPS+ of 113. He also led the AL in outfield assists. In on the World Series fix, he hit .192 with a double and three RBIs. He also had four strikeouts. Early in his career he was strikeout-prone (for the age), but had seen his strikeouts steadily decrease over the seasons. In 1920 he was having an excellent year when the scandal broke. He took full advantage of the “lively ball” and hit .338 with a .923 OPS. He had 14 home runs, 40 doubles, and 115 RBIs in 142 games. All were career highs. But the breaking scandal cost him the rest of the season and banishment after his trial cost him the remainder of his career. Back in Milwaukee he played some outlaw ball, sued for reinstatement to the Major Leagues, played in Canada, worked as a grocer, soda store operator, saloon keeper, and crane operator. In other words, he did what he could to make ends meet as his baseball skills diminished and his lack of education kept him in working class jobs. When Eliot Asinof began writing “Eight Men Out”, Felsch was still alive. He agreed to interviews and became one of the book’s leading sources. He died of a coronary blood clot in 1964, apparently no longer a “Happy” man. In the wonderful baseball movie “Eight Men Out” there’s a scene involving Eddie Cicotte (David Strathairn) and Ring Lardner (John Sayles). Cicotte swears the White Sox are clean and Lardner, desperate to believe him, accepts him at his word. Later, when it becomes evident the fix is in, Lardner comments to himself “You lied to me, Eddie.” In many ways Cicotte is the key figure in fixing the World Series. It’s a lot easier to throw a game if the pitcher is in on it. And in 1919, Cicotte was the team ace. Born in 1884 in Michigan, Edward Cicotte left school before graduation to work as a box maker and support his widowed mother and his siblings. And before I go any further, there’s the little matter of how the family name was pronounced. I’ve heard it See-Cot, Suh-Coat-e, Suh-Cot, and even Sha-Coat-e. If anyone knows which he used would you please place it in the comments below and tell us how you know that’s correct? I’d love to know. Now back to the main point of all this. By the early 1900s, Cicotte was pitching in the Minor Leagues in his home state. He was picked up by Detroit, spent a summer in Augusta, Georgia (Ty Cobb was a teammate), then went to Detroit in September 1905. He was 1-1 (the win coming ironically enough against the White Sox) with a 3.50 ERA. That cost him a trip back to the minors where he stayed until Boston picked him up for the 1908 season. His Boston years were nothing spectacular. In five seasons he was 52-46 with a 2.69 ERA (not bad, but not great for the age). He did develop an array of pitches that insured he could stick in the big leagues. His major pitch was a knuckleball, and he is credited with being the first great knuckleballer. He also developed a “shine ball”. He would pour talcum powder on his pant leg, then rub the ball against his pant leg before throwing it. This made one side shinier and rougher than the other and was supposed to help the ball move (not to mention providing an occasional cloud of talc around the mound). No one’s quite sure how it really worked, but apparently it did. He was traded in mid-1912 to Chicago, thus missing the Red Sox run to the World Series title (I couldn’t find a reference as to whether he got a partial Series winners share or not). He hit his stride with the White Sox, becoming, along with Red Faber, the team ace. He won 20 games three times (and lost 19 once) and threw a no-hitter in 1917. He picked up an ERA title in 1917 and had ERA+ numbers ranging from 99 to 186. In the 1917 World Series he went 1-1 with a 1.57 ERA, 13 strikeouts in 23 innings, gave up two walks and had a WHIP of 1.087 (remember those numbers when we get to 1919). In 1919 Cicotte won 29 games, led the American League in winning percentage and innings pitched, then went on to post a 1-2 record in the World Series. In 21.2 innings he gave up five walks, struck out seven, surrendered seven earned runs (2.91 ERA), and posted a WHIP of 1.108. Those numbers aren’t significantly worse than the 1917 numbers, but the subtle difference makes a world of difference in winning and throwing a World Series. 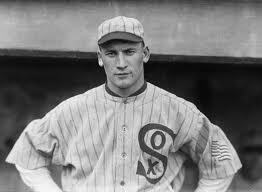 Cicotte was having a decent year in 1920 when the Black Sox scandal broke. He was summoned before a grand jury in Chicago where he admitted to helping fix the 1919 World Series for $10,000 cash up front (he used much of it to pay off a mortgage on his farm). As with the rest of the Black Sox, he was acquitted by a jury but Judge Landis banned him from the Major Leagues for throwing ballgames. He played outlaw ball for a few years then became in turn a game warden, the owner of a service station, and an employee of Ford Motor Company. He retired to his farm in 1944 and raised strawberries. He died in Detroit in May 1969, not long after opening day fifty years after he threw the 1919 World Series. A common thread among the Black Sox is how much they hated Charles Comiskey and how badly he treated them. In Cicotte’s case Comiskey is supposed to have ordered the manager to hold Cicotte out of games so he couldn’t obtain a bonus if he won 30 games in 1919 (he won 29). Maybe it’s true, but there’s a minor problem with it. In 1917 Cicotte started 23% of ChiSox games. In 1918, it’s 24% and in 1919 it’s 25%. That makes it sound unlikely that Comiskey was actually holding Cicotte out of games to save a bonus, especially as Chicago only won the pennant by 3.5 games (and it’s a short season, only 140 games played). I’m not sure what happened here, but I don’t find it a mitigating factor for Cicotte. 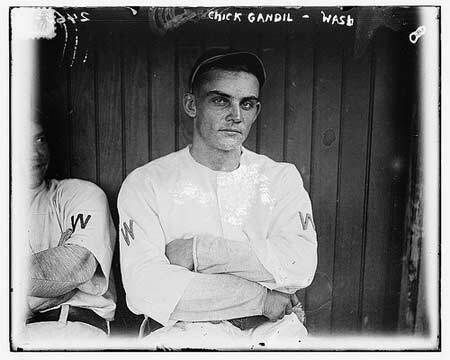 In most accounts of the Black Sox scandal, Chick Gandil takes center stage as the prime mover among players. He is portrayed as grasping, malevolent, and greedy. In the “Eight Men Out” movie the actor Michael Rooker does this portrayal wonderfully. But according to his friends he was a good pal, someone who looked after his buddies, would help them in a pinch. In Sleepy Bill Burns’ phrase, “Chickie’s a Sport.” Maybe that makes Gandil a complex person, like most of us. Arnold Gandil was born in Minnesota in 1887. His parents moved to Berkeley, California while he was still young. He played ball, did poorly in school, then left to find his own way in the world. He was athletic enough to both box and play baseball. He played semipro ball for a number of Western teams, most of which were tied to companies. He worked as a boiler maker and copper smelter worker while playing ball on the weekends. Primarily a catcher, while with a team in Mexico he became a first baseman. That seems to happen a lot. Both Rudy York and Gil Hodges, noted first basemen, started out as catchers. In 1908 he found both a wife and a minor league team in Shreveport, Louisiana. He was good enough to get a trial with the St. Louis Browns. Cut, he ended up in Sacramento by way of Fresno (where he got in trouble for absconding with $225 of the team’s money), and came to the attention of the White Sox. He had a terrible year in Chicago. He hit a buck 93 with an OBP of .267 and only 72 total bases in 77 games. The Sox sold him to Montreal where he played well in 1912. In 1913 the Washington Senators picked him up. He stayed through 1915 hitting well and playing first superbly for the era. He hit .300 a couple of times, had an OPS+ over one hundred each season, stole some bases, and led the American League in first baseman assists twice. All that got him sold to Cleveland for $5000. He did OK, but his hitting numbers were beginning to slide. He made up for it by leading the AL in assists, putouts, range factor and fielding percentage among first basemen. 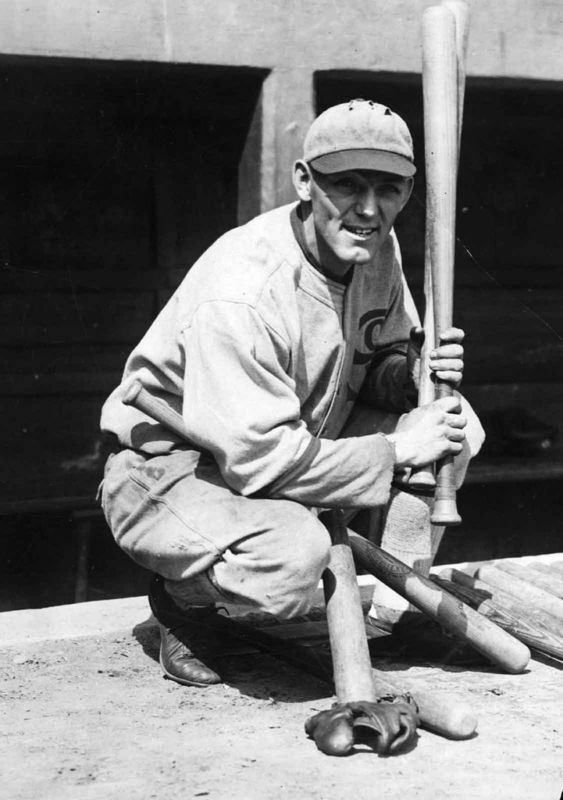 Needing a first baseman, the White Sox, his original team, picked him up in March 1917. He had a fairly standard Gandil year in 1917, hitting .273 with an OPS of .631. He again led the AL in fielding percentage and was third in putouts. He did well in 1918, better in 1919. In 1917 Chicago won the World Series with Gandil hitting .261 for the Series and leading the team in RBIs (5). So far a fine, if fairly pedestrian, career. Of course his entire career is defined by the last eight games, the 1919 World Series. There is universal agreement that Gandil was a prime mover in throwing the Series (Among other indicators, he and attempted Series fixer Sleepy Bill Burns had been teammates in 1910.). He was one of the few players to get his entire cut, he played poorly in the field, undistinguished at the plate, and made a lot of money by 1920 standards. It was enough to allow him to retire. He stood trial in Chicago in 1921, was acquitted, then banned by Judge Landis. He continued playing outlaw ball with an occasional sidetrip to independent minor leagues in the West through 1927. He ended up as a plumber in California, proclaimed his innocence in a couple of 1950s articles, including one of the first “Sports Illustrated” articles, and died in 1970. By then he was largely forgotten. For his career, Gandil hit .277, had an OBP of .327, a slugging percentage of .362, for an OPS of 689 (OPS+ of 103). He had 1176 hits, 173 of them were doubles, 78 were triples, and he hit 11 home runs. There were also 557 RBIs and 1538 total bases. As a first baseman (he played 2 games in the outfield) his numbers are much better. He was a superior fielder and led the league (as mentioned above) several times in several categories. And if not for 1919 he would be totally obscure. I’m of two minds about the Black Sox. On the one hand I understand the frustration of doing a job well and being grossly underpaid. I understand revenge. What I don’t understand is willfully throwing ballgames. I have no sympathy of guys like Gandil or the other seven “Black Sox” (well, maybe just a little for Buck Weaver) but I do kind of understand their reasoning. I may understand it, but I don’t like it. The defense of Gandil is generally that he came from a hard background, a poor background and baseball was a way out. Then it turned out it didn’t pay all that well. Having just said that, I’m reminded that Honus Wagner came from much the same background (his was in coal not copper) as did any number of other players of the age. So I can’t cut Gandil any slack for his actions. I’m frankly glad he was banned. Just a short note today. As a stamp collector I get a copy of “Linn’s Stamp News”. The newspaper reports that the USPS will issue a set of four stamps commemorating Major League Baseball. No specific date is given, but my guess is that it will be in conjunction with the Hall of Fame ceremony in Cooperstown. According to Linn’s, the players commemorated will be Joe DiMaggio, Larry Doby, Willie Stargell, and Ted Williams (alphabetically). No image available so I don’t know how they’ll look (probably not as good as Mrs. Posada, but that’s just a guess). Anyway, for your information. Don’t say you weren’t informed. Now that I expended all my Spanish, except for words like Taco, burrito, and refried beans, on the title, it’s time to bid farewell to Yankees catcher Jorge Posada. Never been a great fan of either the Yankees or Posada, but it’s tough to overlook his accomplishments. So now the Core Four are down to the Dynamic Duo (or is that Batman and Robin?). I’ve always been sure that Posada was overlooked when it came to the great Yankees teams of 1996-2010. This was Derek Jeter’s team. Or it was Mariano Rivera’s team. Posada sometimes seemed to be the guy who wasn’t Joe Girardi. That’s kind of a shame. He was not just good, but was a key part of the team. 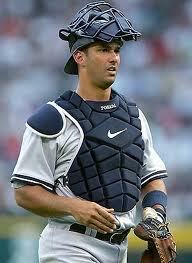 He wasn’t Bernie Williams cool or Paul O’Neil fiery or Tino Martinez clutch or even Chuck Knoblauch error-prone. He was, however, always there, always contributing, always available. In some ways he wasn’t a typical Yankees catcher. He wrote children’s books (can you seriously image Yogi Berra doing that?). I read one. It was pretty good (Heck, I even understood it). He was, despite a notable accent, quite articulate. He was a major conduit into the Hispanic community. So from a non-fan of the Yankees, Adios, Jorge. You were better than we anti-Yankees types wished. You were also better than we baseball fans could have hoped for. Enjoy your retirement. Now the Hall of Fame voting is over. We can sit around and cuss and discuss the results. Your favorite get in? Good for him. Your favorite still on the outside looking in? Sorry about that. But there’s always next year for him (unless the Mayan thing is right). So maybe it’s time to start talking about next year’s Hall of Fame election. I understand the dilemma of the voters. You’re going to have people with truly astounding numbers on the list. You’re going to have people who are admitted or suspected PED users. You’re going to have people on the list that were great players prior to the PED controversy who got better when PED’s were suspected. What do you do? I’m a bad person to ask for advice, because I’m not privy to all the nuances of the Mitchell Report, the BALCO testimony, and God knows what else. But, of course, that’s never stopped me before, so why should it now? There are, in broadest terms, three groups of players when it comes to PEDs: those we’re sure didn’t use them, those we’re sure did, and those we don’t know about. And the key word there is “sure.” Because other than a few admissions (Mark McGwire, AndyPettitte, etc), most of the players we’re “sure” about are really people we highly suspect used PEDs. In some ways the decision has already been made by the failure of McGwire and Rafael Palmiero to receive enshrinement in Cooperstown.Thus I find the questioning about what will happen next year a little odd. Perhaps its the presence of Barry Bonds on the list or the knowledge that Alex Rodriguez lurks just a few years down the road that leads to the questioning. Because I do find it strange. If a decision has been made on McGwire and Palmiero then why is there a question about others? I know Palmiero got caught with his hand in the cookie jar so I can see a difference, but McGwire was being held out before he admitted anything (“I’m not here to talk about the past.”). This isn’t an argument to keep the bums out, but to try to figure out why we’re still asking the questions. Somehow you can’t have one standard for McGwire, another for Bonds. I say that while admitting Bonds was a better player without PEDs. So that leads to the problem of what to do with quality players like Bonds and Clemens who were probable Hall of Fame inductees before they allegedly got into PEDs. Frankly, I think the one cancels out the other (using PEDs cancels out quality prior to PEDs) but others will disagree. So maybe the solution is simple. No PED user (and here the word “suspected” must come into play) can get in on his first five tries, then maybe that’s penance enough and he can be voted in. Maybe that’s a bad idea, maybe it should be one year or two or ten (or maybe the plaques ought to mention it). But in fairness to the guys who no one believes used them there has to be some difference made. Besides the idea of being a “First Ballot Hall of Famer” is so ingrained in us that to keep these players from that title is fitting. Do we really want to let their names be uttered positively in the same sentence with the likes of Stan Musial or Jackie Robinson? I know this rambles and the solution is only vague, but that reflects how much I’m torn by this issue. I really don’t want these jerks in Cooperstown beside Musial and Robinson, but I understand the impact of the players and their numbers. You are currently browsing the Verdun2's Blog blog archives for January, 2012.